Iain Macdonald has been selected as director of the TallWood Design Institute (TDI), a unique research collaboration between the Oregon State University College of Forestry, College of Engineering, and the University of Oregon School of Design. It is the nation’s only research collaborative that focuses exclusively on the advancement of structural wood products, and serves as a national research, education, and outreach hub focusing on multi-family and non-residential wood buildings. 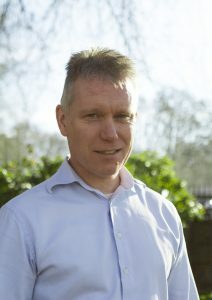 Macdonald has served as Associate Director of TDI since November 2016. Previously, he led the Centre for Advanced Wood Products at the University of British Columbia for nine years. Since his arrival, TDI has collaborated with a wide range of community and industry partners to help develop new and innovative products, provide testing services for manufacturers, engineers and designers, conduct educational seminars, round table events and networking meetings for industry, and carry out applied research projects. In January, TDI hosted the Oregon Mass Timber Development Summit in partnership with Business Oregon, attracting over 180 elected officials, economic development personnel, investors and industry representatives to Salem to discuss how to grow Oregon’s mass timber supply chain. The institute’s applied research program, drawing from the deep expertise within OSU’s Wood Science and Engineering and Civil and Construction Engineering departments and University of Oregon’s Architecture department, is eliminating barriers to widespread adoption of mass timber technology. Data from product testing and development enables building code officials to evaluate and propose changes that make it easier to permit mass timber buildings in the United States. Last year, Oregon was the first state in the nation to adopt new code provisions that bring buildings up to 18 stories within code. In May 2019, TDI will move into the Oregon State University College of Forestry’s new A.A. “Red” Emmerson Advanced Wood Products Laboratory, a state-of-the-art facility that includes sophisticated manufacturing equipment, a robotic machining cell, and one of the largest structural testing areas in the US. Simultaneously in Eugene, University of Oregon is preparing to build a Timber Acoustic Testing Facility to fill yet another major research and development need. As director of TDI, Macdonald will lead a growing interdisciplinary team that will continue to support and grow the research and testing program, offer innovative educational programs, and work closely with industry to identify and address opportunities and barriers.